Have you or a loved one been recently convicted of a Driving Under the Influence (DUI) offense? If so, you’ll want to read this blog post to learn how your life may change in the coming months. A DUI is a serious criminal charge that can affect multiple facets of your life. A criminal defense attorney will be able to help you receive the best outcome for your case. A DUI conviction doesn’t have to define the rest of your life. Americans depend on their cars to go to work, run errands, or drop their kids off at school. However, after a DUI you won’t be able to legally drive a vehicle. A driver’s license suspension means that you won’t be able to go anywhere if you don’t carpool, take public transportation, or walk. Your driver’s license could be suspended from anywhere between six months and several years, depending on previous criminal charges on your record and other factors. You will also be held responsible for paying court fines and taking DUI classes or counseling before you are able to get your driver’s license reinstated. A DUI attorney can advise you on what steps to take to prove your sobriety to the court for driver’s license restoration. Employers will often run background checks before hiring employees. This means that they’ll be able to find records of your drunk driving conviction, which can take you out of the running for a good job. Employers can also ask you to explain your DUI on applications or during job interviews. If you already have a job, you may have to miss work to attend court dates. A DUI becomes part of your permanent criminal record, complete with your mug shot and fingerprints from the arrest. Background checks are conducted more often than you might think. For example, it’s not uncommon for landlords to run background checks on prospective tenants, making it difficult for you to find housing. 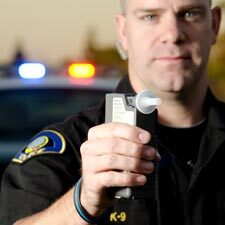 A DUI lawyer can help reduce the effects of a DUI charge by making sure you get the best outcome. DUI consequences include having difficulty getting insurance coverage or financial loans. If you do manage to get insurance or hang onto your current coverage, you’ll have to pay much higher rates. Insurance rates after DUI convictions are not for the light-hearted. A DUI criminal record is a black mark on your record that can affect many areas of your life. Insurance companies won’t be as willing to do business with you because you’ll be considered a “high-risk driver” or someone who is more likely to have an accident. You may also have difficulty trying to convince banks you are reliable enough to pay back loans. The East Lansing DUI attorneys at Foster & Harmon, P.C. work hard to help clients get the best outcome after DUI charges. If you are interested in setting up a free legal consultation at our law firm, give us a call at (517) 337-4600.